Universal temple post mydriatic glasses with flexible side shield temples. Gray glasses with durable design resulting in greater patient compliance. 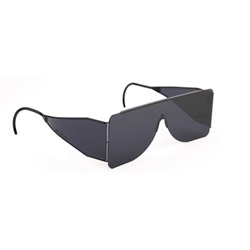 Side sheilds provide maximum UV protection. Comes 100 per box.